It's time for another Wednesday Stamp Club sketch! 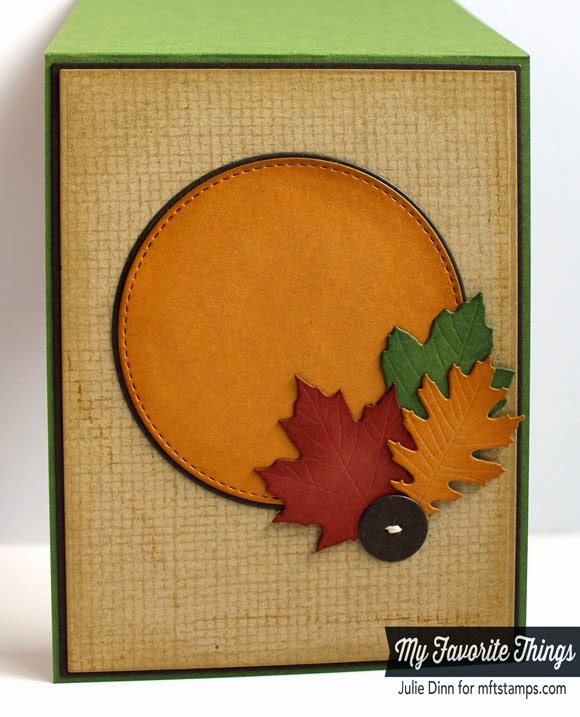 I couldn't resist using a few of my favourite new dies and some gorgeous fall colours to create this card. 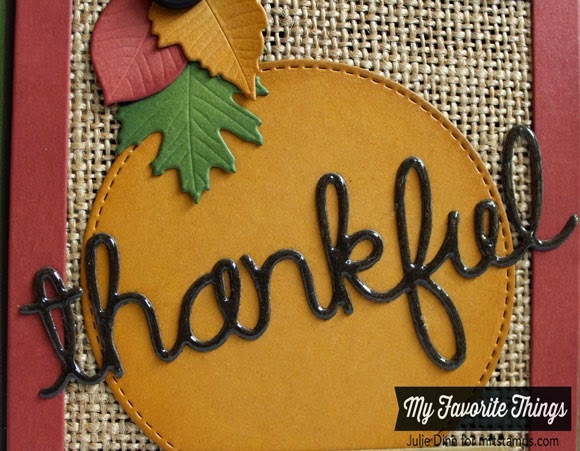 The soon to be released Words of Gratitude Die-namics includes three fabulous word dies. 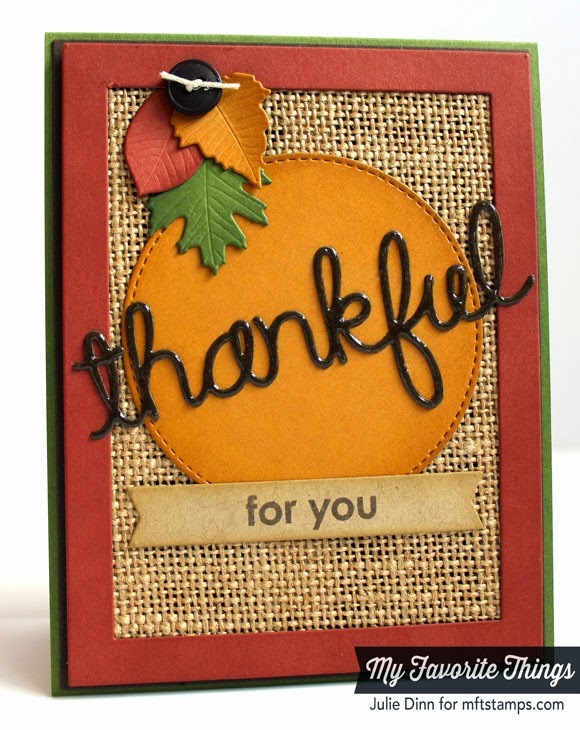 For this card, I chose the thankful die. I die-cut a piece of Chocolate Brown card stock with it and then I coated it in a layer of Crystal Effects. The fabulous leaves were created with the new Falling Leaves Die-namics. I love the variety of leaves included in this set. The leaves were die-cut in Safety Orange, Brick Red, and Jellybean Green. I paired the trio with a Chocolate Brown Button and some Hemp Cord. On the inside of the card, I stamped the background with the new Burlap Background stamp. I just LOVE this stamp! Be sure to check out the MFT Blog to see all the gorgeous creations the Design Team and our fabulous customers have created. Your card is really beautiful. I love the fall and all it's beautiful colors! This is lovely, very fall like!